Added: HDRP and LWRP auto-settings script. *Solution: When there is no diffuse map on the cornea, the Auto-Setting script will change the rendering mode from opaque to transparent, and the opacity value will be properly applied. 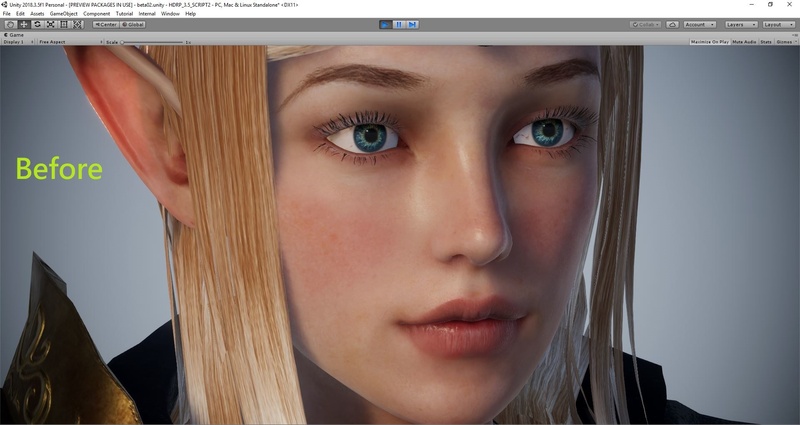 Enhanced: Automatically set up the rendering mode of hair to be "Fade" to have better visual quality. More information of the upcoming updates will be revealed HERE. Well, this is exactly what i needed but it doesn't work for the fact that I have to export my CC3 character into Blender first in order to fix the teeth open issue and export from blender back into Unity so the materials don't assign. ****edit, was finally able to get everything working!!! Thanks for the script and tutorial Miranda. I will try this a soon as I can. Does it also work with Game Base and combined textures? I think i remember that there were always many duplicate textures with this method...does its not good to just drag the whole export folder in to unity. Hello Miranda, Tobias here from Descendent Studios, Austin TX. The Workflow looks very promising. As we can see, the tutorial is being done inside the SDR(HD) Book of the Dead example scenery. We would love to know about it a little more and hope you can help us to get some open questions answered. - Is the importer script capable to check for the SRP(HD) pipeline and going to make use of the HD-Lit shaders? 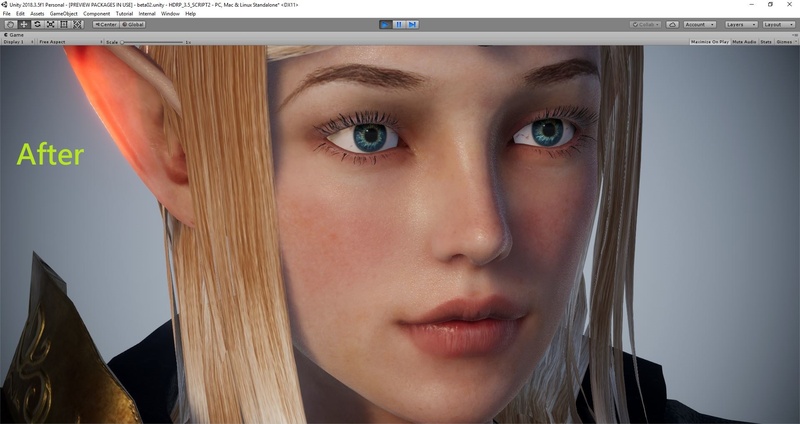 - Is it possible to export from Character Creator 3 by only exporting the FBX with SRP(HD) ready textures and materials? - 2018.3.0f1 (RC) came out today. We would kindly ask you if there's a schedule for upcoming script support. I followed the video and used the script to export a Game Base character with LOD from the CC trial version. The prefab and materials were created but it looks like the textures are missing? (sorry, I'm new to 3d graphics). Do I need to use the CC3 model or is it a problem with the trial version? There will be some tutorials coming up, such as Game Base export, and auto LOD setting. The tutorial for Game Base export shall be ready this week, we will show you how it works. Please wait a moment. I will check with Dev Team, and get back to you this week. The tutorial for Game Base published. You can perform the auto process with the same script. Yes, we will update our script for support HDRP & LWRP late this month. A new tutorial will come along with this update. In order to satisfy most use cases, we will not only exporting the FBX with HDRP-ready textures/materials. We are aware of this, and have been studying the updates. However, RC version is still not stable enough, we won't release the updated script before its official version.